Lonnie and I went with my photo group to Yuma for a couple days last week. On the way we stopped at Castle Dome, an area filled with old mining cabins and buildings-a photographer’s delight! Here’s a “found still life”- old bottles on display. I don’t think there was a right angle to be found in this old ghost town- so I gave up trying to straighten anything but the door in this image! 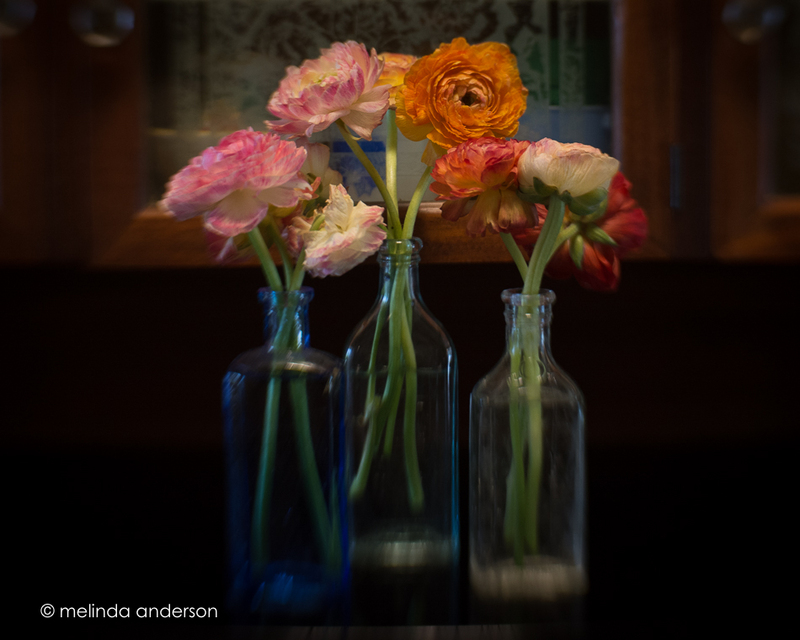 The other evening, I glanced over at my entry hall as beautiful light from the setting sun cast a golden glow over my forgotten ranunculus arrangement on the cabinet. I am always complaining about the lack of good light in our house, so I felt compelled to run and get my camera and snap photo after photo until the light faded. My lensbaby Sweet 35 was on the camera- and of course I don’t remember what the aperture was set at- maybe f/4, which produced a lot of blur on the sides (more than I usually like). 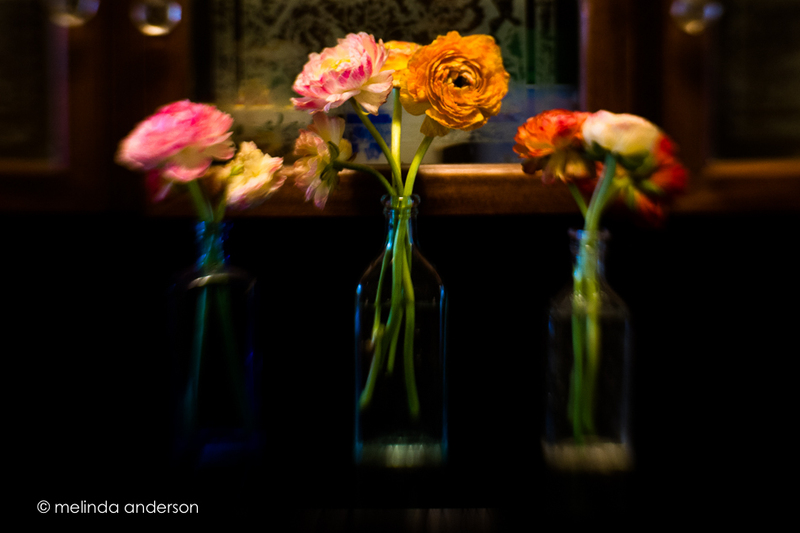 The second shot shows my adjustment- pushing the bottles together to put more of the flowers in focus. Closing down the aperture would have forced me to raise the ISO more than I wanted to in the excitement of the moment, so that was my speedy solution.